August 2014 - Fat Cake, Inc.
What is a Digital Marketing Strategy? Marketing in the digital realm is a lot like going into battle – a clear strategy will give you the best chance of victory. The phrase “Digital Marketing Strategy” – like most marketing buzzwords – is thrown about liberally, but what does it actually mean? And most importantly how does your business benefit from it? The problem is that for the most part, digital marketing is (at best) a haphazard and reactionary exercise. Marketing in the digital realm for most businesses involves a process of hastily throwing some time and money at a problem hoping that some of it will stick and work. This approach is known as “Random Acts of Marketing” and is at best a very haphazard approach, and at worst, a waste of money and time and – worse still – may even lead to disaster. Napoleon had a strategy and so should you! 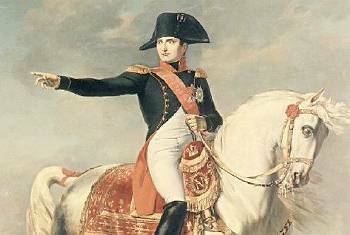 Did Napoleon go off half-cocked without a map, compass or plan to rule an empire? Nope. He had a serious strategy. The “going to battle” analogy is not too far from the truth. Digital marketing today is very much like going to war in an increasingly crowded battlefield (marketplace) with your competitors as your enemies. You can run off into battle half-cocked and full of bravado, but if you don’t have a plan, you’ll probably waste a lot of money, definitely lots of your precious time and you might even get seriously knocked about in the fray. Digital strategy = business strategy. In effect, your digital marketing strategy literally IS your business strategy interpreted within the digital realm. That’s it. Simple right? It’s a road map, it’s a guide, it’s a schedule, and it’s a plan. A comprehensive digital marketing strategy acts like a detailed ‘road map’ to provide guidance on the very specific actions that need to be taken to 10 This incorporation of unstructured what is a server and multiple disparate what is a server sets into a single analytical framework is one of the main promises of Big Data. increase sales conversions and achieve business growth. It also provides a detailed ‘plan of attack’ for the short, medium, and long term along with tools to track performance and to measure the success of Literally, lock up your credit report rating cards where you can’t easily access them. future marketing efforts. A Digital Strategy answers important questions: What are you selling? Where are your customers hanging out online? For example, say you’re selling high couture bridal wear. You’d want to make sure that you have a strong presence where your target audience is spending the most time online. One of these places would be the world’s 4th most popular social media channel Pinterest. 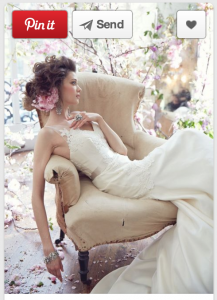 So it just makes common sense to focus your marketing efforts where women who are shopping for high-end bridal couture spend the most of their online time. In this way, your digital marketing strategy is 100% aligned with your business objectives to give you the best chance for positive business results, and that gives you the best chance of real cash money walking in the door. Feeling ready for the battle? Why is Digital Marketing Strategy so critical to your business? Sometimes building a website can be like giving birth to a baby elephant. Has link building become the “asbestos” of SEO?